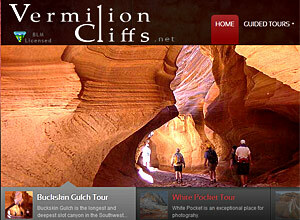 Grand Circle Tours offers guided tours of the Vermilion Cliffs, White Pocket, The Wave, South and North Coyoye Buttes, Grand Staircase Escalante, Grand Canyon North Rim, Coral Pink Sand Dunes and many other areas. 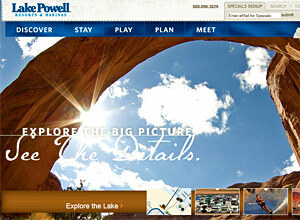 Grand Circle Tours is Located in Page, Arizona and Kanab, Utah, and is ranked as one of the top guide companies in the Southwest! Licensed and Insured. The mysterious and haunting beauty of Antelope Canyon (also known as "Corkscrew Canyon", one of the few slot canyons in the area) awaits the adventurous traveler who seeks to discover one of the most spectacular -- yet little known attractions of the Lake Powell area. 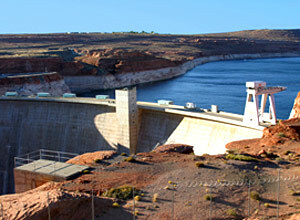 Attractions: Tours of the dam, exhibits, video shows, a relief map of the entire Glen Canyon area. Restrooms and a bookstore. With almost 2,000 miles of shoreline, endless sunshine, warm water perfect weather and some of the most spectacular scenery in the west, Lake Powell is the ultimate playground. Rent a houseboat (no experience necessary!) 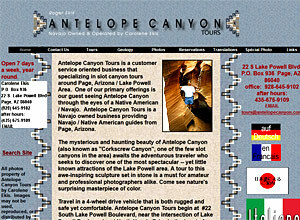 or enjoy our Resorts and hotel and hop aboard a guided expedition.